This week, you may have already seen my pick, as it has made the rounds quite a lot – including from me saying that “if you read nothing else” you should read it. I stand by that. The pick is, Healing Alone, by Dr. Isabel Hanson and Safdar Ahmed, a comic published in The Guardian that shares the story of a first-year doctor and a widowed patient in the hospital. If you’re unfamiliar with just how fraught our medical education systems are (be in the US or the UK), this comic may shock you. If you are familiar, you may find yourself nodding along – or, like me, you may find yourself aghast all over again as the colors and expressions in this comic tell a familiar story in a way that hits you right in the heart. This comic has spurred a TON of conversation among groups that normally don’t host much discussion on comics, including r/medicine with this thread. Forewarning, I got about halfway through before I had to give up – some folks seem to see NO issue with the hazing, burnout, abusive culture of medicine. 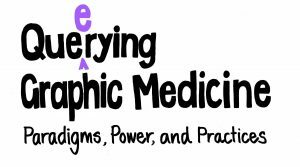 Scholarly: Revisiting an old strategy: cartoons in medical education. 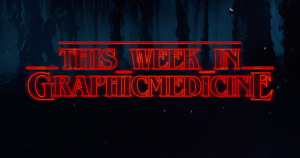 FYI This Week in #GraphicMedicine is likely to be tweetless again this week because of this. I am so sorry.